Buying a home is one of the most important decisions you’ll ever make. A good home is an investment and a great place to raise a family. It’s also a relaxing and safe place to spend time in at the end of the day. As a result, it’s vitally important to do everything you can to increase the value of your property. The best way to utilize your time in your home is to increase home equity. Home equity is essentially the current value of your house with any amount owed on it subtracted. Obviously, you want this to be as big as possible. There’s a number of ways and strategies to build home equity faster. These usually revolve around increasing the value of a house and paying off a mortgage quicker. One of the easiest ways to build home equity faster is to just pay off your mortgage sooner. Each month you’re paying the mortgage, you’re just paying more interest to the lender. Getting off mortgage payments means money is now going towards your net worth. Some ways to pay off a mortgage faster include rounding up. Pay a little extra each month so this money will go straight to principal and boost your equity. Send any gifts and work bonuses into your mortgage and budget for extra payments to pay things off quicker. Otherwise, opt for a shorter mortgage length to pay things off quicker and boost home equity. Another way to build home equity is to just buy a cheaper house. It’s going to take longer to build equity on a pricey home. Cheaper houses will come with smaller mortgages that can be paid off quicker, and you might even be able to place a bigger down payment on a cheaper house as well. When buying a home, consider these factors during the buying process to help you build equity faster. Click here to learn how long you should wait to buy a second home! A third way to build home equity faster to simply make a larger down payment. 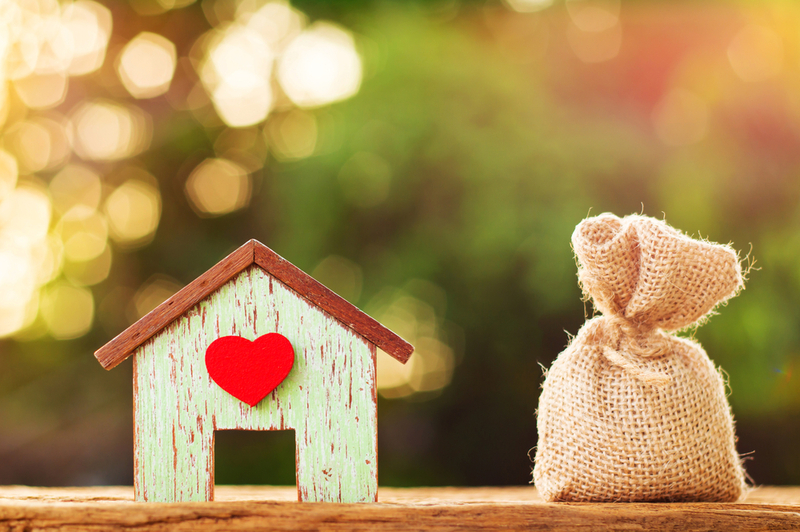 Putting down more money will help you immensely down the road and get you more home equity. Most people put down about 20% of a home’s value, but you can look at your finances and see if it’s possible to do more. Remember, every dollar counts when it comes to building equity. Keep these three strategies in mind if you’re trying to build equity in your house. It might seem hard to put down more money now, but it will pay off in a big way down the road, especially when it comes to your financial health. Home equity can also be built through a variety of improvement projects that are targeted towards improving value, while also keeping everything in good condition. Even if you feel like it might be too late to start building equity, rest assured that it’s not. In fact, starting later is always better than not starting at all. Sit down to figure out what’s financially feasible and keep the above three tips in mind while doing so. Do you have a question about building home equity? Click here to contact Stacy and Nicole today!